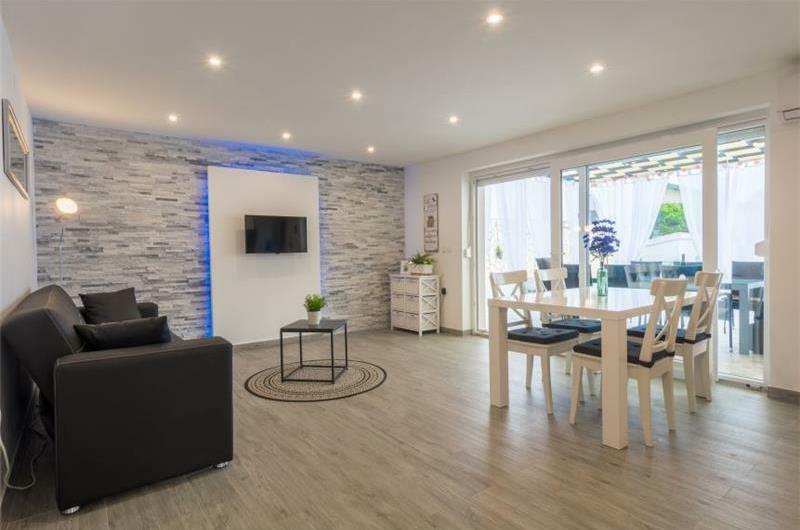 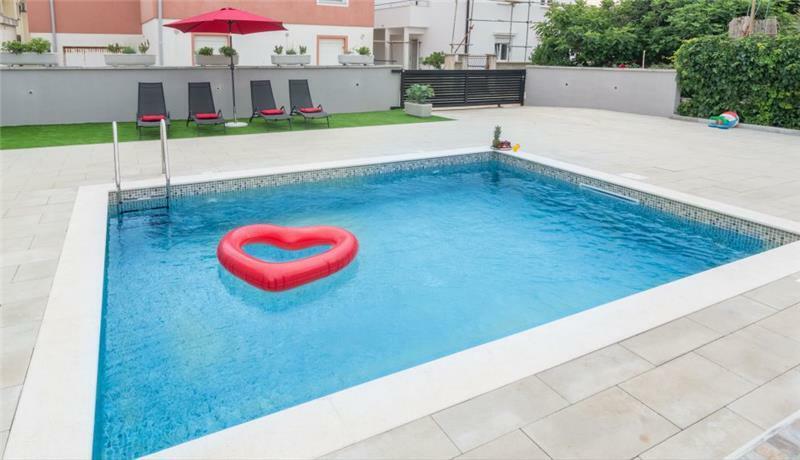 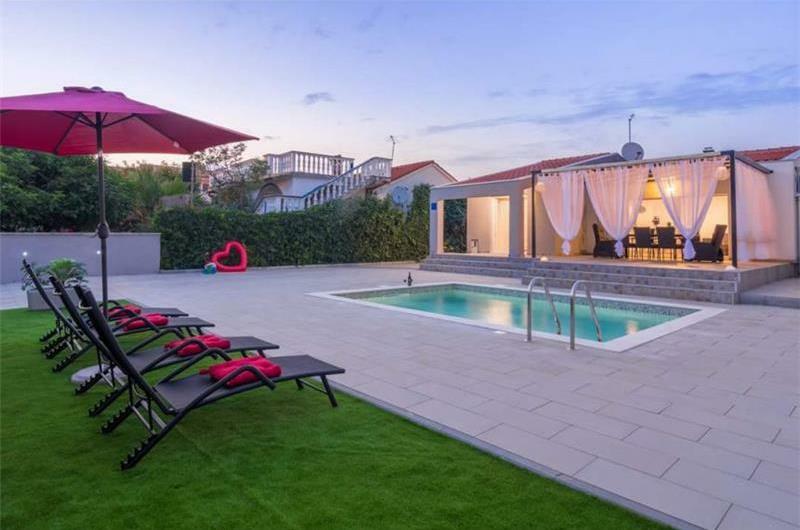 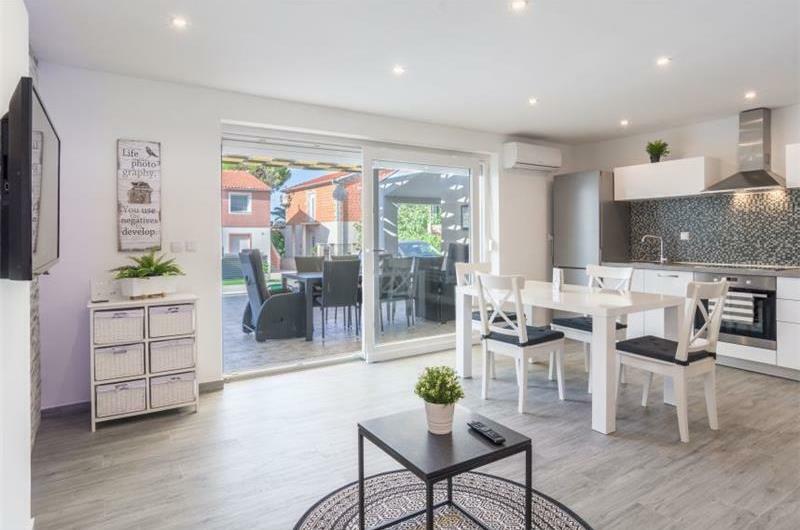 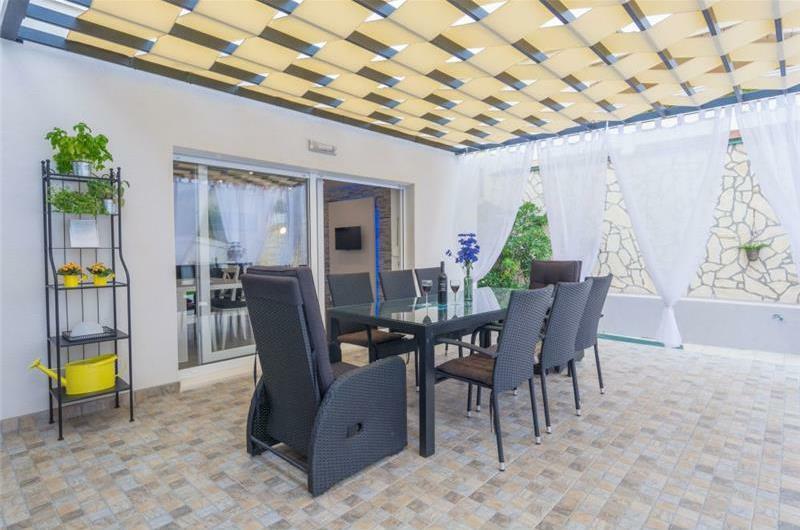 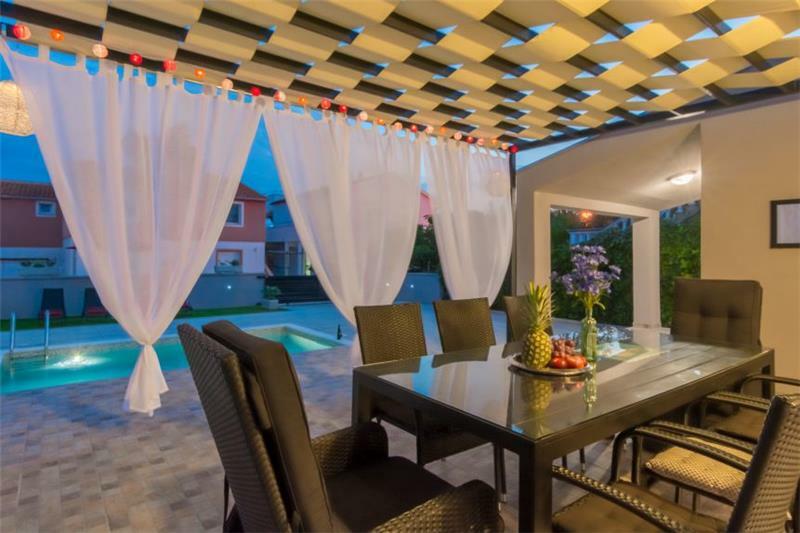 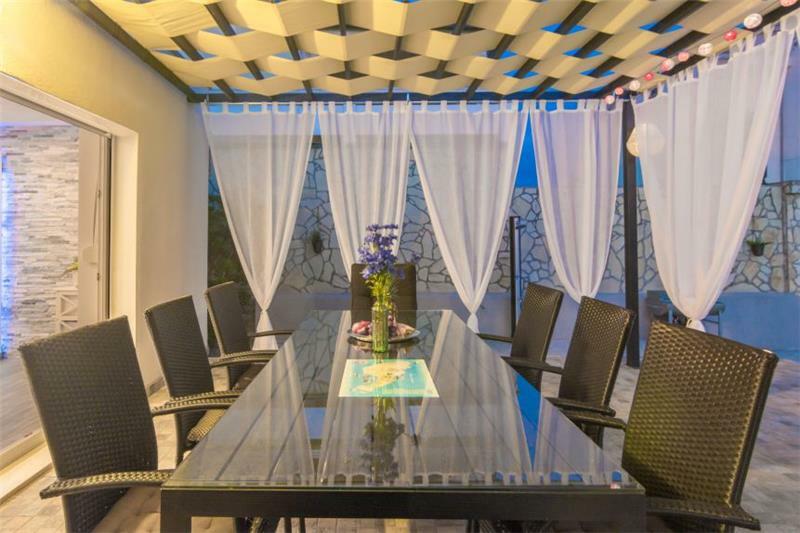 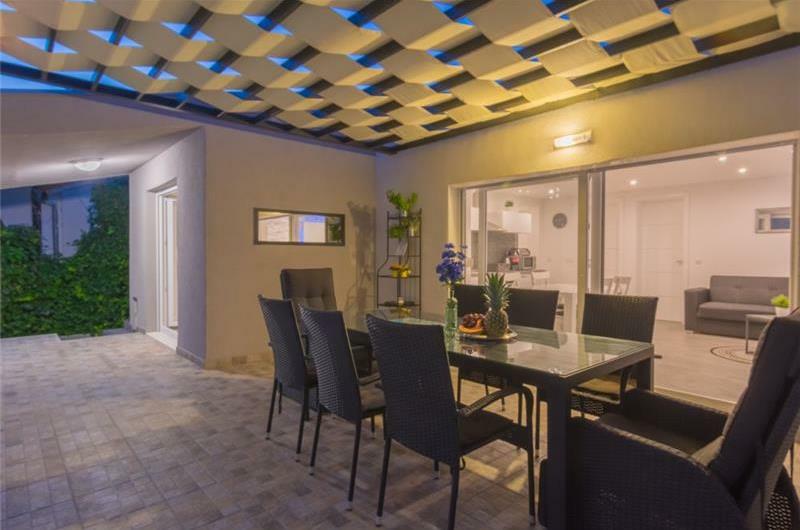 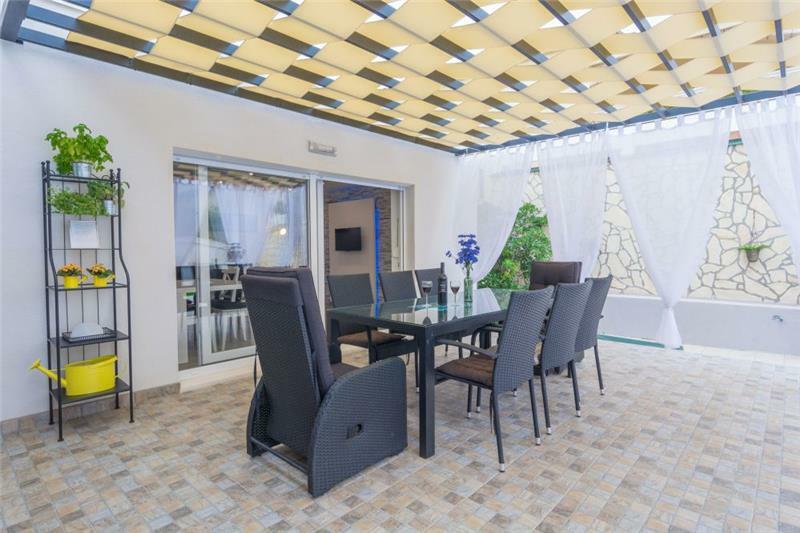 This contemporary holiday villa with pool and fenced grounds lies in the pretty suburbs of Vir Town, within walking distance of beaches, shops and restaurants. 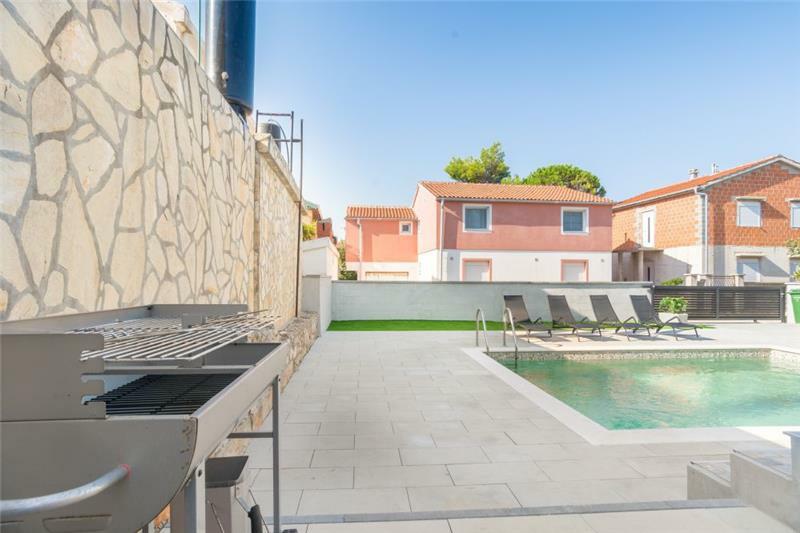 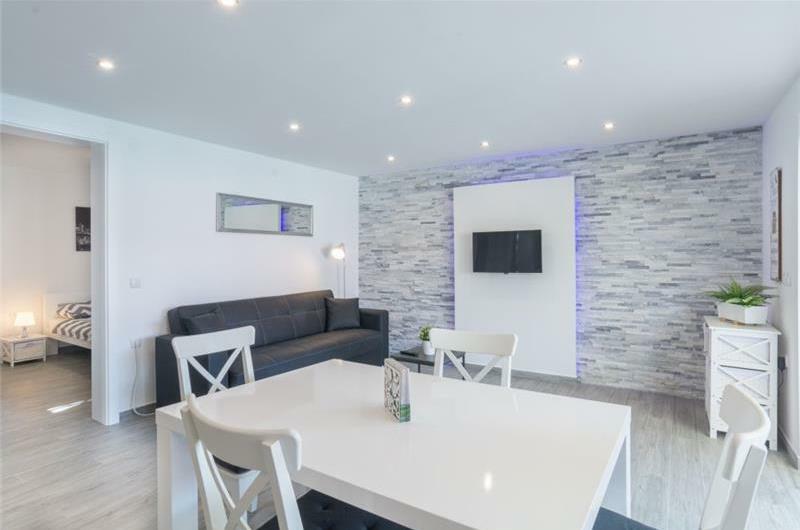 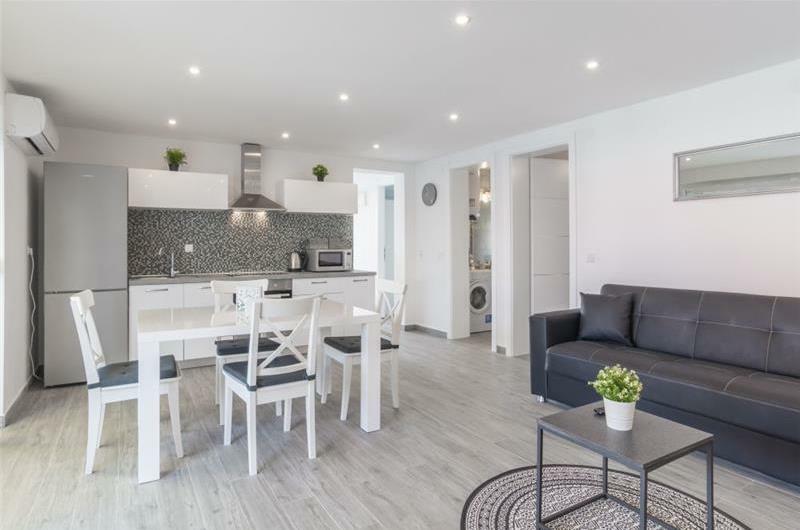 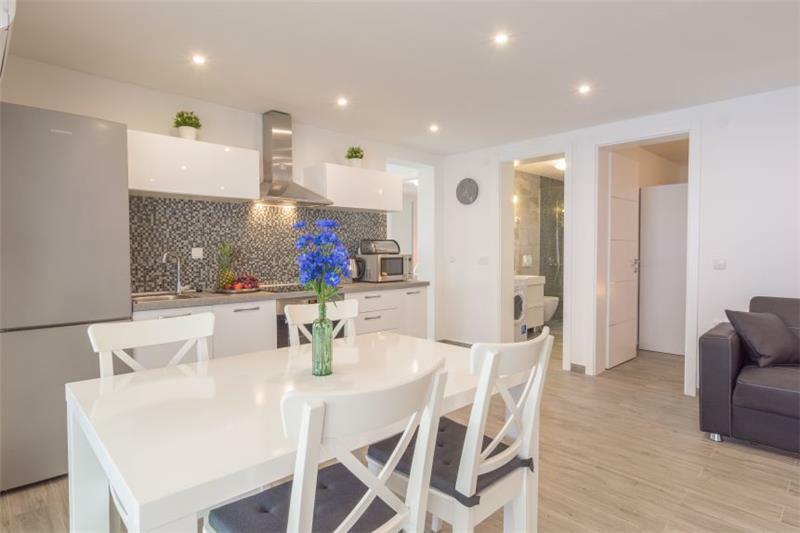 The villa would suit a family or small group of friends looking for a villa holiday within easy reach of all amenities and close to Zadar and the mainland. 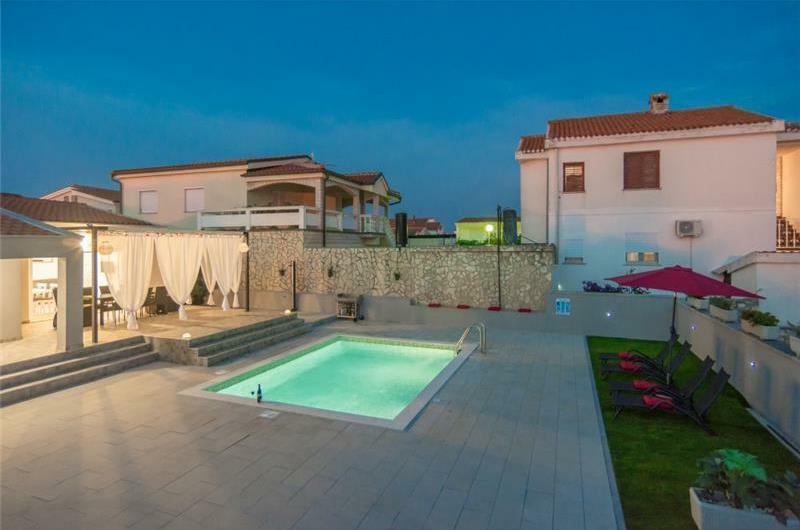 The villa is set all on one level. 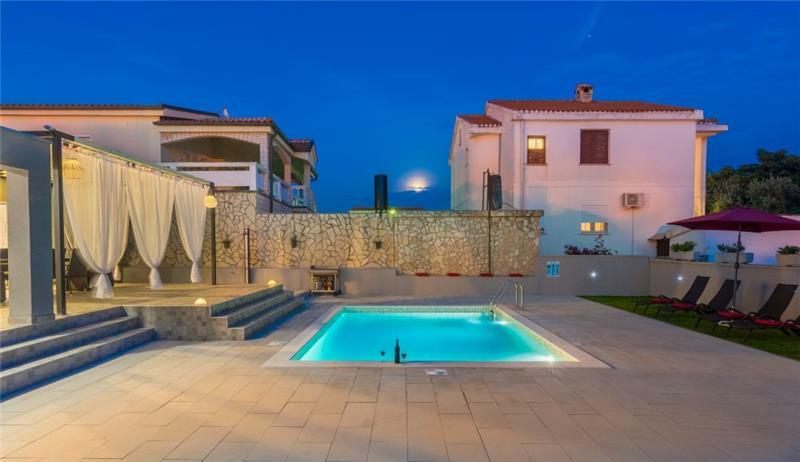 From the gated parking area, guests approach the villa via the pool terrace, furnished with sun loungers. 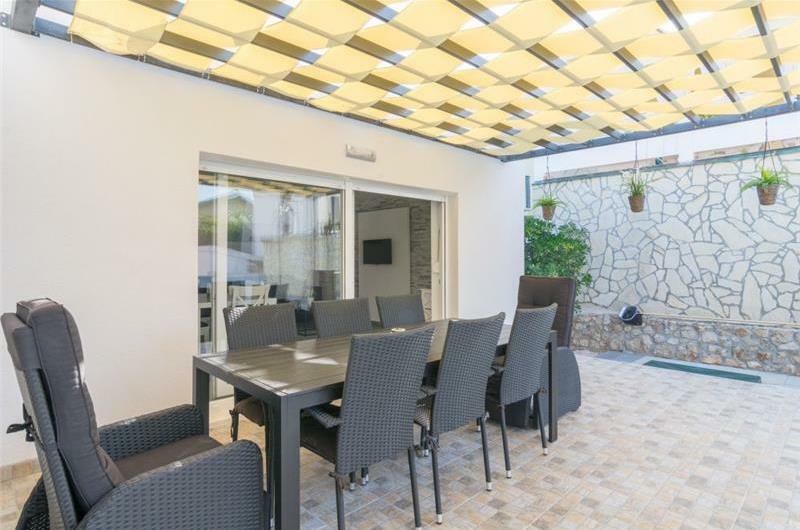 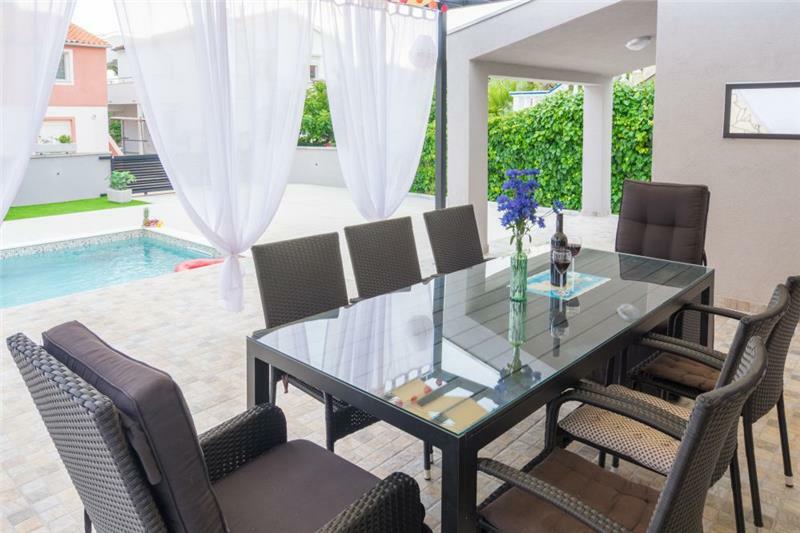 4 steps lead up to a shaded dining terrace with dining table and chairs. 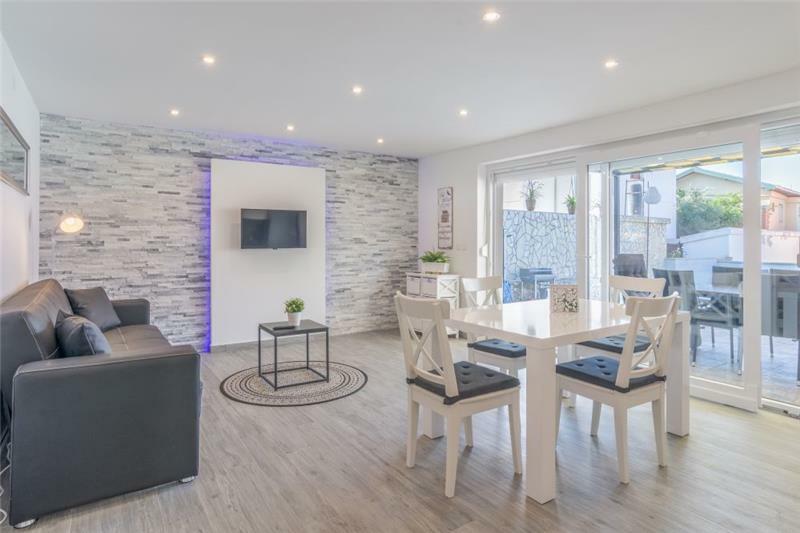 From here, patio doors lead in to an open-plan living-kitchen-dining room with double sofa bed. 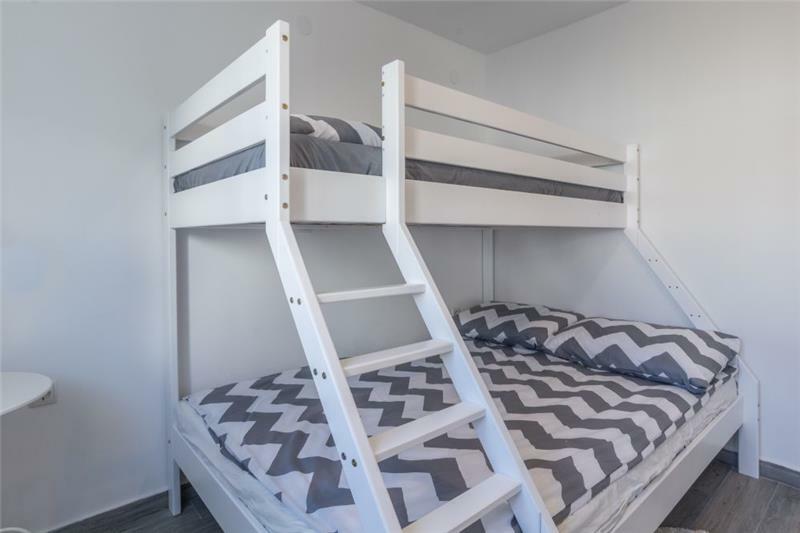 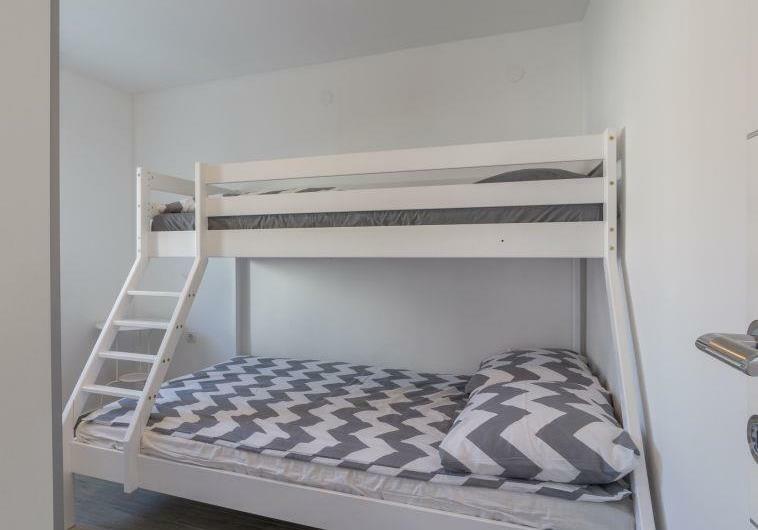 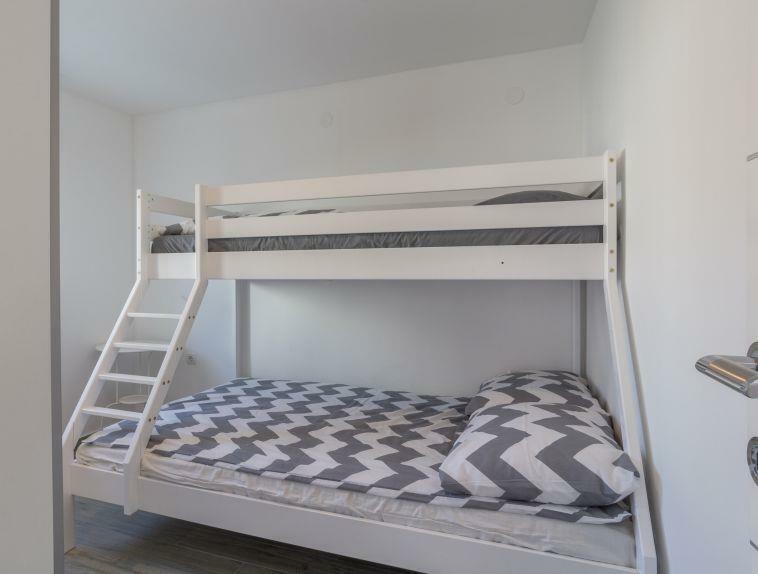 There are three bedrooms, two double rooms and one triple bedroom with double/single bunk bed. 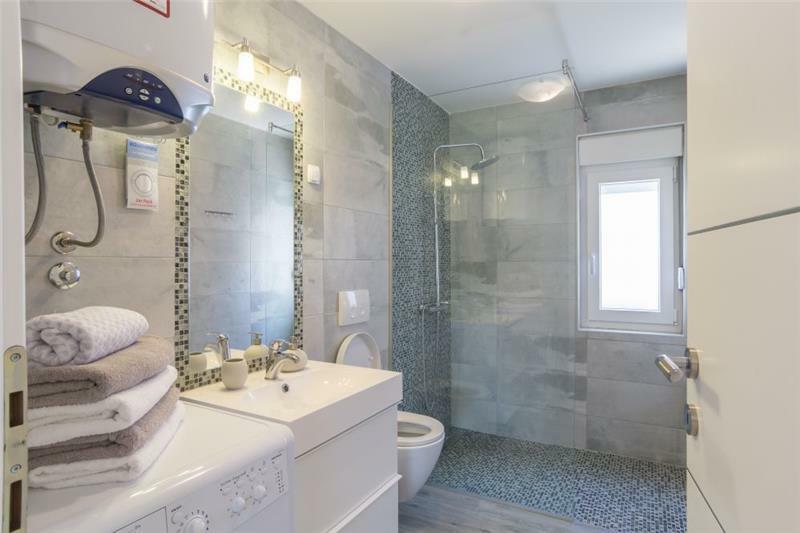 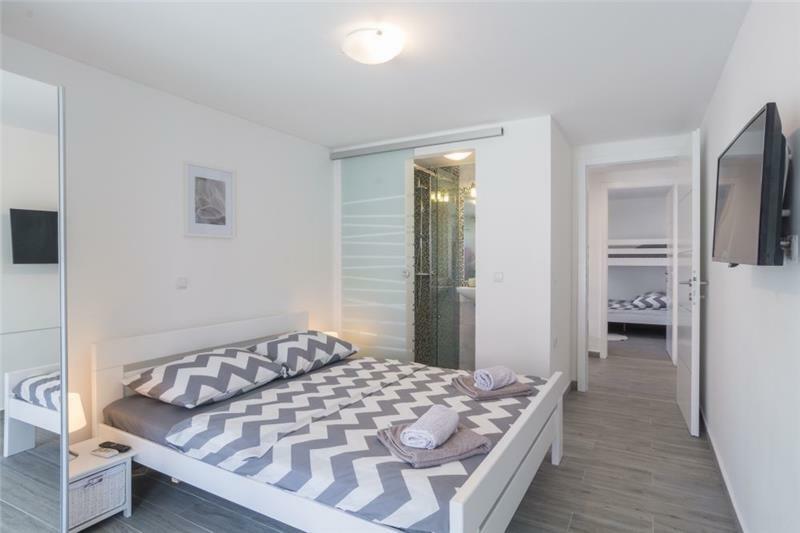 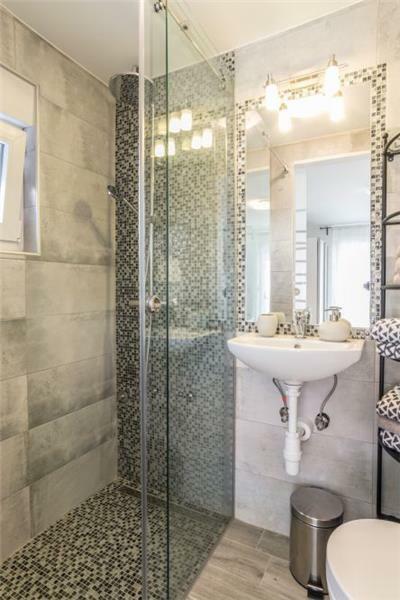 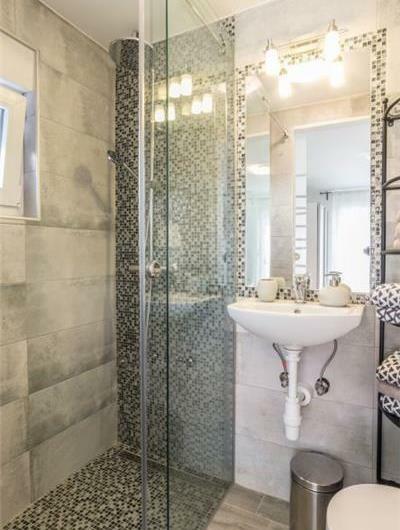 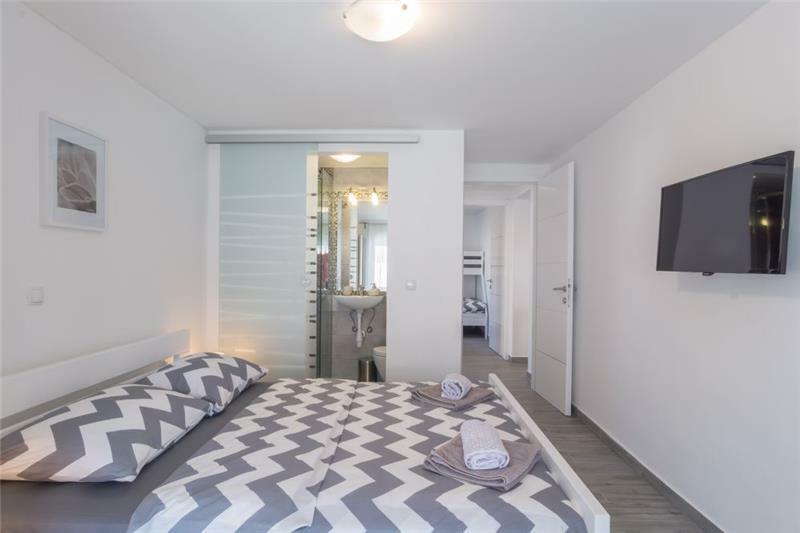 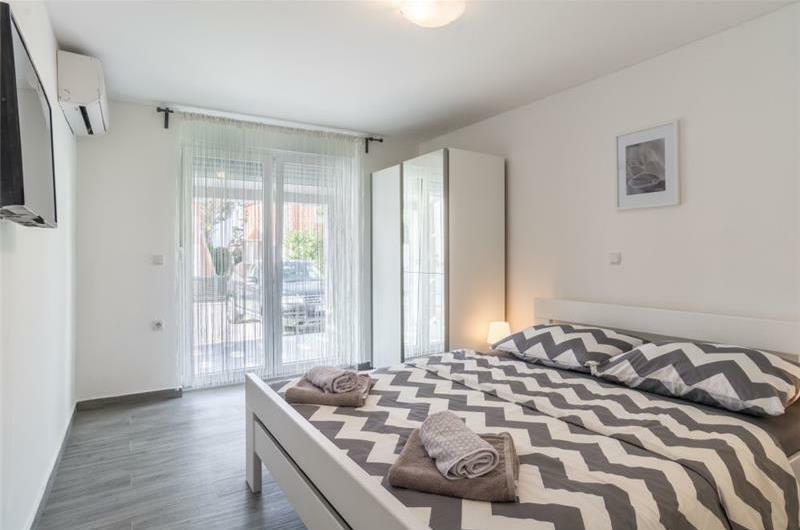 1 double bedroom has an ensuite shower room, while the other two bedrooms share a family shower room. Car hire is recommended for exploring the local area. Vir Island is a beautiful location connected to the mainland by road bridge, allowing for very easy access from the mainland. 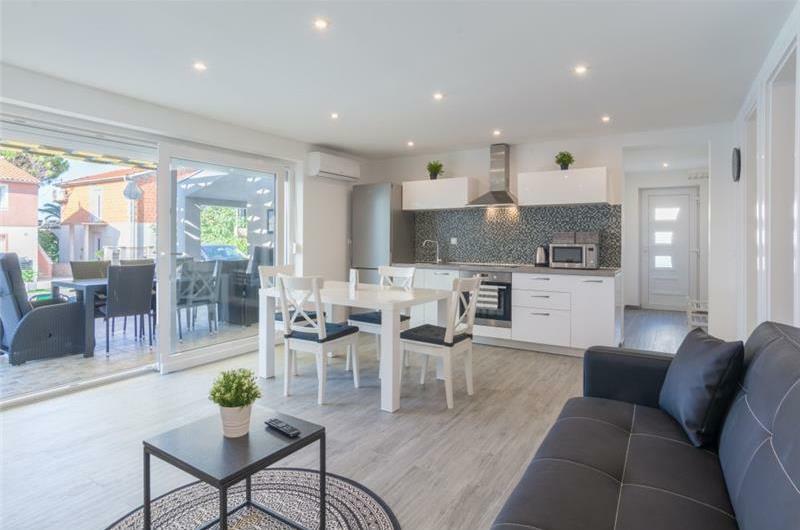 Vir Town is a lively seaside resort with plenty of activities on offer as well as seaside café-bars and restaurants all within walking distance. 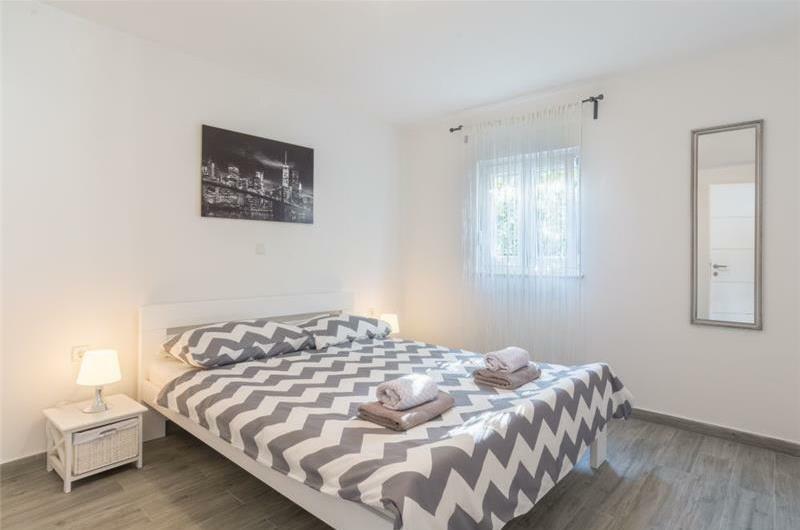 Take a day trip to Zadar from the villa or explore further inland and visit beautiful national parks such as Krka with its waterfalls or the magnificent Kornati Islands.